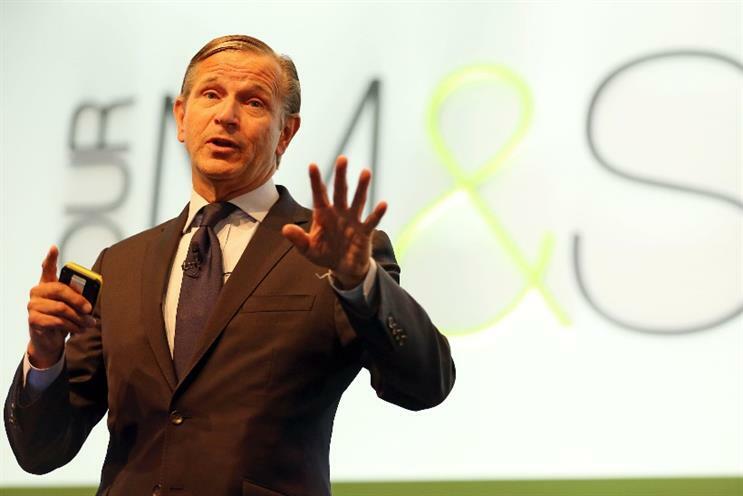 M&S has revealed that its chief executive Marc Bolland will step down in April, ending near-constant press speculation about his position, and drawing an end to a six-year tenure. Bolland has had many public detractors due to his inability to turn around the retailer’s clothing business. Any hopes of a revival of the clothing business were dashed when it was revealed this morning that like-for-like sales within general merchandise had dipped 5.8% over the Christmas trading period. Shortly after the trading update, it was announced to the stock market that Bolland would be retiring this year. Despite the detractors, under Bolland M&S has outperformed the stock market, suggesting his reign has not been the disaster portrayed. So what is Bolland’s legacy? There can be no doubt that Bolland never got to grips with the clothing business despite constant tinkering and upheavals within the management of its general merchandise offer. Under Bolland there were 14 consecutive quarters of decline within like-for-like sales in the general merchandising division. This was ended in April of last year, but any hopes of a turnaround were quickly dashed as like-for-likes once again dipped. There were the occasional glimmers of hope, such as the success of the Rosie Huntington-Whiteley lingerie range, but these were too few and far between. Tristan Rogers, the boss of the enterprise collaboration platform Concrete that is used by M&S, claims Bolland was in a lose-lose situation when it came to clothing. He said: "What could he, or indeed anyone have really done? Is the department store a relevant concept anymore? Show me an example of one that is succeeding at the scale of M&S. But for general merchandise, the large floor plate and generalist clothing format is out of date." There have been a number of bold moves made by Bolland recently to bolster the M&S brand. One such initiative is the Sparks loyalty members club, which has already signed up 3.3m customers since launching 11 weeks ago. This indicates that under Bolland the British public have lost none of their love for the M&S brand. Sparks was cleverly tied into the Christmas campaign by allowing members to see the ad first and offering them wine and food tasting events. The short nature of the spots were designed specifically to make them perfect for digital distribution as the company transforms into an increasingly multi-channel retailer. M&S chairman Robert Swannell credits Bolland with making "significant investment in enhanced infrastructure and capabilities" and bringing the retailer into the "digital age" with its own online platform and dedicated e-commerce distribution. While all this is true, it has been a rocky road and required significant investment. M&S spent £150m on migrating its website off the Amazon platform and on to its own. However, the launch of the website was initially a disappointment as e-commerce sales dropped significantly post-launch. Observers blamed the drop in sales on the difficulty of actually buying items on the content-heavy website. The site was backed by the opening of a state-of-the-art distribution centre at Castle Donington in 2013, which has also experienced teething problems, particularly following Black Friday in 2014. But those issues appear to be abating. In this morning’s trading update, M&S claims its website "delivered a strong performance with continued improvement in traffic and customer experience". The retailer added: "Our distribution centre in Castle Donington performed well dispatching record volumes while delivering a high level of customer service." Significant strides have been made globally of late despite a "challenging macro-economic environment" within its Middle East franchise region. The owned businesses have improved with a particularly strong performance in India. Trading in India was bolstered by the savvy move of launching on ecommerce platform Myntra last year. This followed on from M&S leading the way by signing up to Alibaba’s Tmall platform in 2013 to reach Chinese consumers. Since then other British retailers have rushed to follow in M&S’ footsteps in order to capitalise on the growing Chinese middle class and the increasingly popular Singles’ Day shopping phenomenon. M&S has also made a triumphant return to France under Bolland. The retailer re-opened in Paris in 2011, a decade after pulling out of continental Europe during challenging times for the business, a decision ex-boss Sir Stuart Rose labelled as "tragic". Swannell has also praised Bolland for leaving a "strong sustainability legacy" by placing the Plan A sustainability programme at the "heart of the business". By putting sustainability on the agenda Bolland has consolidated the British public’s respect for the firm. The Plan A stats are extraordinarily impressive. Before the government’s plastic bag charge was even introduced, M&S revealed it had saved 2.8bn bags by introducing its own 5p charge in 2008. There has also been zero waste to landfill from M&S operations since 2012, while it has cut the amount of packaging used for home deliveries by 60% compared to 2009. The over-arching saving grace for former Morrisons boss Bolland has been M&S' food offering, which has gone from strength to strength despite the particularly hard trading conditions experienced by the grocery sector. In its most recent quarter, food sales jumped 3.7% as like-for-likes rose 0.4%, representing a strong outperformance of the market. In the key Christmas week, M&S recorded a massive 17% jump in food sales, which was significantly helped by its click-and-collect offer. The success of the M&S Dine in for £10 deal has been a key factor in the success of the food division and this was introduced by John Dixon, who was previously tipped to take the M&S top job before he left the company in a shock departure.